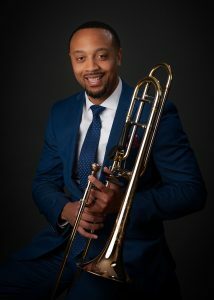 Dr. Joseph L. Jefferson has accepted the Assistant Professor of Applied Trombone and Director of Jazz Studies position at Southeast Missouri State University within the Earl and Margie Holland School of Visual and Performing Arts. On August 1, 2017, he will begin his new position at SEMO. Previously, Joseph served as Assistant Professor of Music at the University of Portland in Portland, OR.